Copy of Personalized back plate - Great for gift-giving! 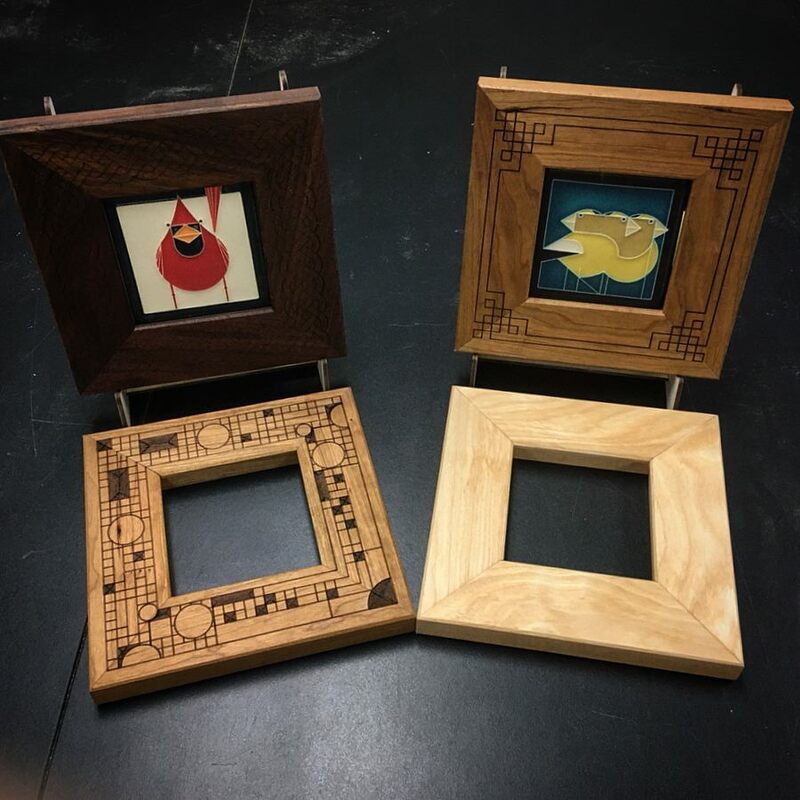 Assemble a custom frame kit for your choice of a Motawi tile using the woodshop at Maker Works. A variety of Motawi’s 4×4 tiles will be available (except Pine Landscape Mountain and Valley). Please note in your registration if you know your tile preference now. See all the beautiful Motawi 4×4 tile styles. Maker Works staff will guide you each step of the way. It will take 20-30 minutes. Time slots are available beginning at 10:30am.